Home > Special Offers > Sales > Get the 2019 Qashqai Today! 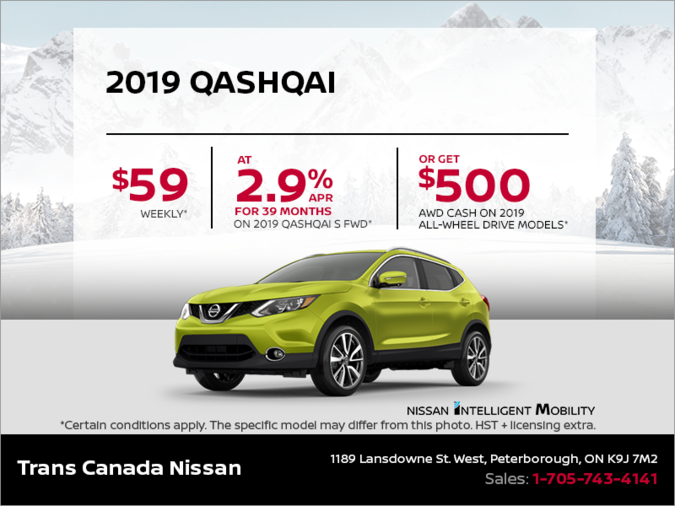 Get the 2019 Nissan Qashqai and receive up to $500 AWD cash on select models! Lease it from $59 weekly for 39 months at 2.9% with $2,695 down. This offer ends February 28th, 2019! 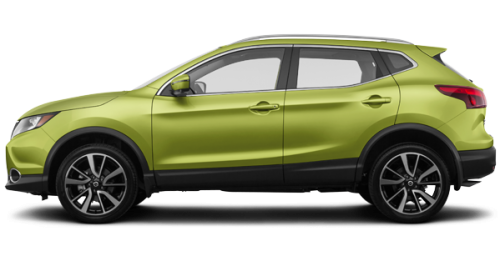 *Representative monthly lease offer based on a new 2019 Qashqai S FWD at 2.9% APR for 39 months equals monthly payments of $261 with $2,695 down payment, and $0 security deposit. Lease based on a maximum of 20,000 km/year with excess charged at $0.10/km. Total lease obligation is $12,867. Lease Cash of $500 Nissan Canada Finance for a limited time, may change without notice. **AWD cash of $500 (is deducted before taxes) is available on 2019 Nissan Qashqai (Excluding FWD) models purchased, leased or financed with NCF and delivered between February 1 - February 28, 2019.